All Family Eye & Laser offices are equipped with state-of-the-art optometric devices. Our advanced eye exam technology ensures that we provide ultra-precise diagnoses and the most progressive eye care treatments possible. No matter which office you visit, our compassionate eye doctors will serve you with professional expertise and the latest high-tech. We use devices such as the FDT and the Humphrey Visual Field (VF) to screen for any loss of peripheral vision. Both of these machines serve a similar function, yet the Humphrey VF is much more detailed; it is considered to be the gold standard in eye care for measuring abnormalities in peripheral vision. A reduction in your visual field can point to disease, such as stroke, glaucoma, aneurysms, pituitary tumors, and drooping eyelids. 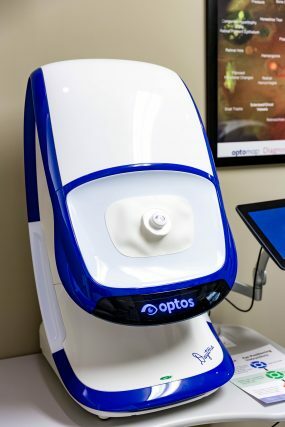 The Optomap Retinal Exam creates an image of your retina, which is unique to you (in the same way that nobody shares the same fingerprint). All you need to do is look into the device, one eye at a time, and you will see a flash of light when the picture is taken. Most of the time, there is no need to apply dilating eye drops, which makes the experience much more comfortable for our patients! The resulting image is sent instantly to our computer screen, giving us a broad 200-degree view of your retinal health. We will store the pictures in order to compare the results and inspect for any changes from year to year. Digital retinal imaging allow our eye doctors to store a permanent record of how your retina appears. 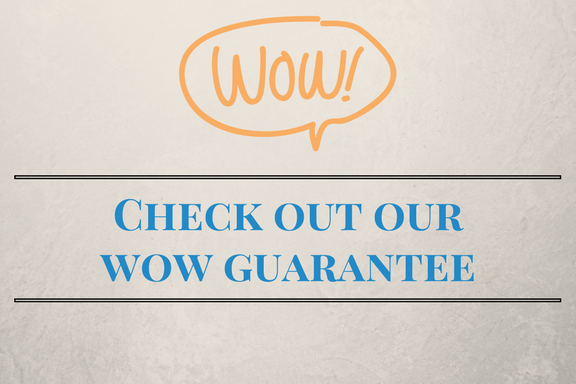 This enables us to detect any changes in the health of your retina and optic nerve from one eye exam to the next. Many ocular diseases, such as macular degeneration, glaucoma, hypertension, and diabetic retinopathy, can be diagnosed early by monitoring for changes in your retinal health. With an early diagnosis, you will benefit from early treatment that promotes long-lasting eye health. Digital retinal imaging is quick, safe, and painless. An OCT scan uses light to generate high-resolution images of the back of your eye. A laser scans the structural layers of your retina and optic nerve, inspecting for signs of disease, such as retinopathy, glaucoma, and macular degeneration. The detailed images enable our eye doctors to detect early changes in the retina. We will analyze the results to make a definitive diagnosis of ocular disease. No radiation is involved in this procedure, and it takes a total of about 10 minutes. The Humphrey Visual Field is the gold standard in our profession for measuring defects in your peripheral vision. It serves the same function as the FDT, however, on a far more detailed level. This medical imaging procedure maps the surface curvature of your cornea, which is the outer layer of your eye. Using this advanced eye exam technology, we will take several digital photos. The information can be used to accurately fit specialty contacts for patients with a corneal disorder, such as keratoconus and Fuch’s dystrophy. The results are also useful for planning refractive surgeries, such as LASIK. 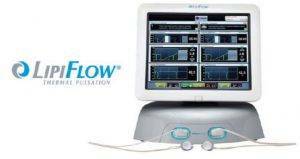 LipiFlow is a revolutionary new FDA-approved therapy for dry eye syndrome. Using thermal pulsation, LipiFlow attacks the source of your dry eye problem by unblocking oil glands, restoring the lipid layer of your tear film, and treating MGD eye disease. The procedure is quick and painless. At Family Eye & Laser, we are committed to caring for your eyes and vision with the leading advanced eye exam technology in all of our Alabama clinics, in Luverne, Troy, Enterprise, and Ozark.